So you have a spouse. Now what do you do? Marriage is much more than mindlessly irritating the person you love for the rest of your life. Marriage is a sacred bond that states you promise to listen to your spouse chew his/her food until the day you die. But how do you make it last? What can you do (that takes little or no effort) so your spouse thinks you’re the bomb? Touch each other. A gentle touch creates a spark of affection. However, the following touches will get you divorced faster than you can say “alimony.” No touching my feet, chin(s), waist, knees or that part on my arm where my tricep muscle should be. And no tickling! For God’s sake, no tickling! Cook dinner together. You know, like in the movies where the couple turns on the radio and starts dancing while slicing carrots, onions and potatoes? Like that only with a lot more sliced off fingers and 4-letter words. Be playful. A co-worker suggested I drop a handful of flour on my husband’s face while he’s sleeping. “It will be hilarious,” he promised. Joke’s on me. After calling 9-1-1 because my hubbie inhaled a lungful of unbleached flour, I had to clean up the mess on the dry-clean only comforter before changing the sheets and promising to sleep in the guest room for a week. Don’t be super sensitive. If your spouse walks on eggshells when you’re around, there could be a problem. First, who the hell left all those eggshells on the floor!? Second, if your spouse is never sure which personality you’ll be today, it can cause tension between the two (or more) of you. Show your partner you’re carefree by laughing and tossing your hair. Don’t take everything so personally. Stop slamming doors when your husband mentions your potato salad tastes like s***. Shake it off. A lifetime in prison isn’t worth it. Spend time alone. Even best friends need a break, especially if you’ve both suffered a week of constant touching, bloody meals, flour ingestion and hurt feelings. Maybe go your separate ways for a few hours, if only to contact an attorney. I guess you just walk into a milk bank (not to be confused with First Security Bank) and they hook you up to the Udderly Eazy Cow Milker 2000. The milk is then stored for preemies or other babies facing a mother’s milk shortage. This made me wonder. 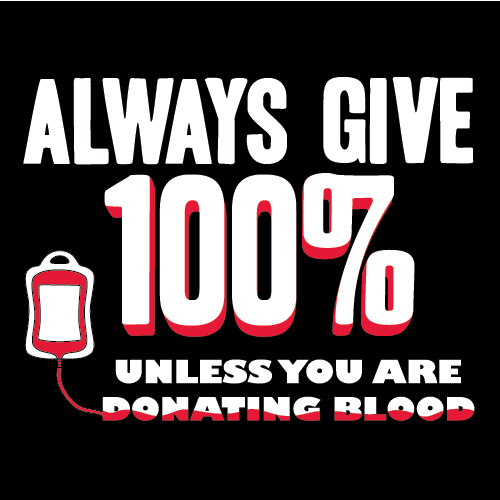 Since I don’t donate blood (eww, needles) and I can’t donate sperm or breast milk, what other things can my body produce that other people might want? Sweat: I can strap empty baby food jars under my armpits to catch my sweat because I don’t “glisten,” I sweat like an African elephant. Then I can hand little jars of sweat to those poor women in the gym who wear full make-up, push-up bras and never even glisten while sauntering on the treadmill and talking on their cell phones. Hair oil: One day my hair is just fine. The next day it’s so oily I could barrel it and sell it to third world countries. 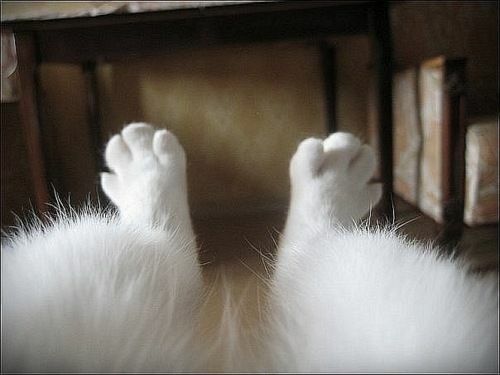 Leg hair: Each spring I harvest my leg hair. I could possibly bale it and sell it as horse feed. Or learn how to weave it into yarn and make a nice, scratchy blanket. Fingernails: My nails break so often I should save them and form them into a turtle-esque shell for winter that I can hide in when it gets too cold. And I can paint it bubble gum pink. I could donate a new nail shelter to a homeless person each year. Urine: I could donate my drug-free urine to people caught by surprise in those “random” drug tests at work. But I’m sure this idea is already implemented somewhere. Tears: For drama queens/kings who need more people to cry. Saliva: Suffering from dry mouth? Just take a swig of my donated spit and you’re good to go! Sarcasm: Well, I already donate that enough. In fact, I’m banned from visiting the sarcasm bank anytime during the next year.